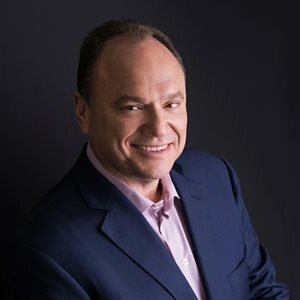 Jeff Apploff, creator of music competition format Beat Shazam and exec producer on Fox’s most recent gameshow offering Mental Samurai, is launching a digital games platform. The interactive venture, Fuego.tv, will be free to use and is to launch in the US in the coming weeks. “We shoot Beat Shazam about seven days in a row and once we’re done, we’re done. But [with Fuego], we’re interacting with an audience every day so if there’s something they want to change or something your audience sees that they want to make better we can literally make it better the next day. It’s a cool way to operate,” Apploff told TBI during a MIPFormats keynote on Saturday (6 April). The exec, who is currently in production on series three of the Jamie Foxx-hosted Beat Shazam, has a long history with US broadcaster Fox, which aired his formats Don’t Forget The Lyrics, Million Dollar Money Drop and Mental Samurai. More recently, however, he scored a 10-part episode order with NBC for the Jimmy Fallon-inspired That’s My Jam. The platform is brand-oriented, says Apploff, noting that “a lot of advertisers” are so far lined up to work with Fuego. “We’re going to aggregate for them, do marketing campaigns and do really cool branding things,” he says. One featured game is the Instagram-affiliated Cash Tag, which has evolved out of “things that people do all the time” such as taking photos, putting them up on Instagram and amassing ‘likes’. The format, which is in beta mode online, finds a number of hashtags on the platform – recent entries include “#ScooterFail” and “Parkour” – that users can illustrate via dedicated Instagram posts that use the hashtags. Posts with the most ‘likes’ can win cash prizes. Cash Tag has so far partnered with Jamie Foxx-backed sunglasses brand Privé Revaux, inviting users to send in clever photos of their sunglasses being used. “People can put up pics with their dog or their baby with sunglasses, and get paid to win money and free sunglasses. Apploff – who is president and CEO of Apploff Entertainment – says the platform is a better fit as a website accessible on desktop rather than an app, because the latter can be increasingly cumbersome for audiences to download and access. Fuego has been in beta mode for the past six months. Around 30 games are so far lined up, alongside five live-streamed programmes.